Like the rest of the United States, Vermont faces a growing crisis of inequality, exacerbated by years of cuts to public services and programs that are essential to securing our fundamental human rights to healthcare, housing, food, education, and work with dignity. In response, the VWC joined our partners with NESRI to launch the People's Budget Campaign - a grassroots campaign for state budget and revenue policies that meet people’s needs and fulfil human rights. 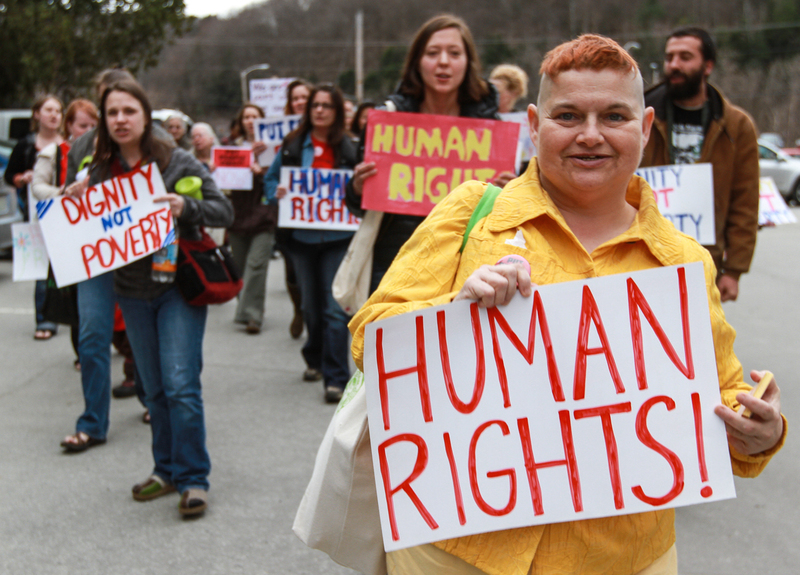 A human rights approach means that the budget process must start with people’s participation and an assessment of our fundamental needs, then equitably raise the revenue required to meet those needs. In 2012, the campaign was successful in passing a law clarifying that the purpose of the state budget is to address people’s needs, advance equity and dignity, and enable people’s participation. But despite this statute language, Vermont’s decision-makers have consistently refused to raise the revenue necessary to fund essential programs and services, resulting in devastating cuts impacting the most vulnerable communities as well as frontline public sector workers. Faced with this failure of democracy, the Vermont Workers’ Center is working with our Human Rights Council allies to build the power of our movements and move Vermont towards participatory, needs-based budgeting to address the crisis of inequality in our communities.